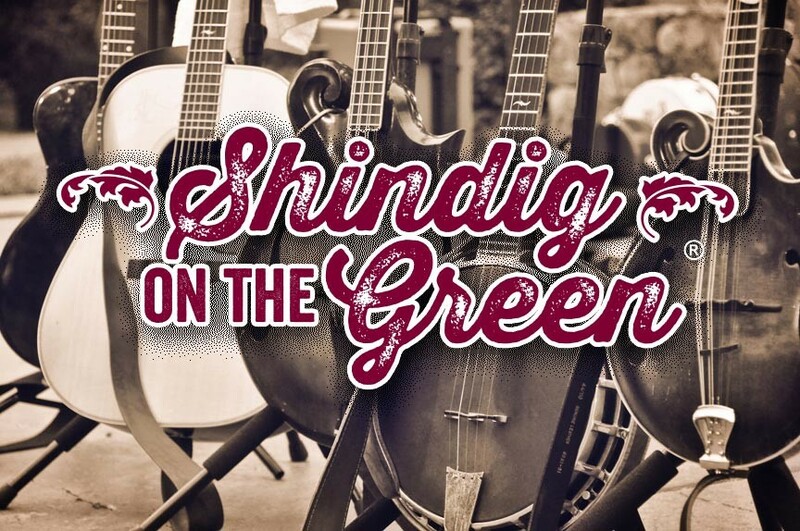 Get Set For the 52nd Annual Shindig On the Green! The 52nd Season of North Carolina’s Shindig On the Green kicks off June 30th, 2018 in downtown Asheville at Pack Square Park’s Roger McGuire Green. Asheville’s Shindig On The Green is a summertime tradition of Southern Appalchia style music and dance. The event is spread out over 8 summer Saturday evenings, from June 30th to September 1st. In fact, the only break in the festival series comes between July 28th and August 4th, for the 91st annual Mountain Dance and Folk Festival: August 2 – 4. Shindig On The Green a series of free concerts and a chance to join in on informal jam sessions. Clog dancers, ballad singers, storytellers, old-time string bands, and more will keep you entertained on stage. Afterwards, all around the park, jam sessions will break out. Attendees are encouraged to participate, whether that’s by clapping, dancing, or singing along during the show, or joining in on an impromptu jam afterwards. The Shindigs offer a great opportunity to meet and mingle with musicians and music lovers. The shows are free and run from 7pm to 10pm. Concessions will be available from Okie Dokies Smokehouse and The Hop Ice Cream Cafe. Most folks bring lawn chairs or blankets to spread out on the Green for the shows. It is a very lovely, relaxing time. Upwards of 5,000 people from around the world are expected to attend Shindig on the Green evenings in 2018. Don’t miss out on this Southern Appalachian tradition that’s been going strong since 1967! Visit www.folkheritage.org for more information. North Lodge on Oakland would love to show you some true Southern hospitality during Shindig On The Green – or any time you’re in the area! Our Asheville B&B offers 6 comfortable guestrooms to choose from, hearty breakfasts, peaceful gardens, and more. Book your getaway at North Lodge On Oakland today!